Lock in a great price for Heliotopos – rated 9.2 by recent guests! AMAZING customer service. Everyone treated us extremelly well. The food at the cave restaurant was delicious. 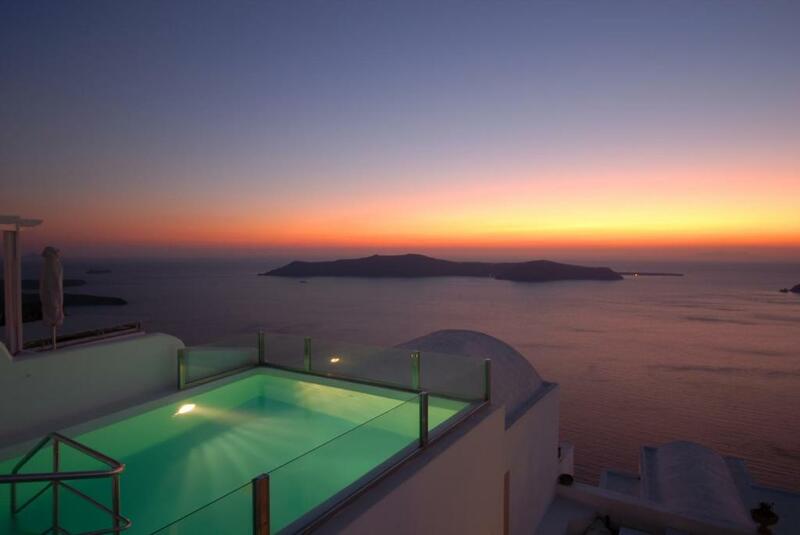 The sunset view is priceless! Wonderful staff! Knowledgeable and kind. And of course the view is amazing. The staff was amazing!! They treated us like royalty. Everything was done with care, compassion,and love. We would absolutely stay here again!! Staff was wonderful, the room was great, the view was spectacular. The food was also delicious. Would definitely come back. 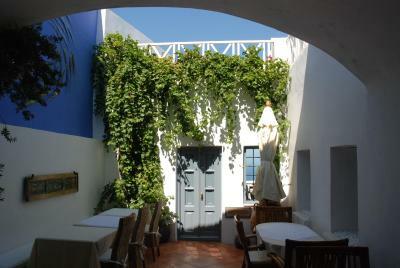 Beautiful hotel on the Caldera. The views were amazing. The breakfast was just right to get the day started. 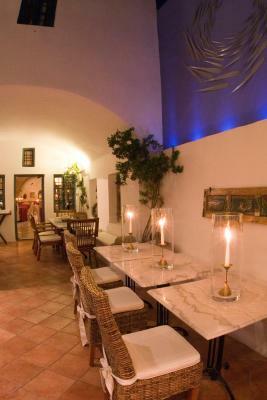 The staff was always helpful in providing recommendations and making reservations. My wifeand I have stayed all over the world and Heliotopos is one of our favorite places we have stayed. The hotel itself had everythingwe could want, a comfy bed,quiet, a spectacular view, great bathroom, a bar restaurant...but what really set it apart was the service. Far and away some of the best service I've experienced in my life. They actually care. If you have a poor experience here, look in the mirror. A huge thank you to the team at Heliotopos, you are setting the bar high. The views and the locations is excellent! It is on top of Imerogivli close to supermarket. However bus is not reliable, may need rented car if you stay here. Staffs are very friendly, hope took care of us. The cave restaurant is delicious! Incredibly friendly and helpful staff. 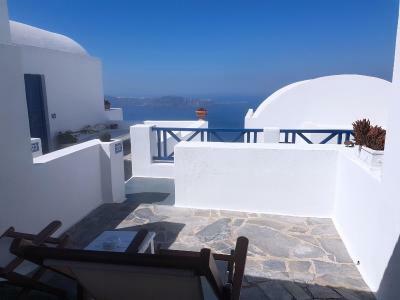 Perfect location on the caldera with exquisite views but out of the Frey. Just about perfect in my opinion. Very king and helpful staff ! Definitely recommend! Heliotopos This rating is a reflection of how the property compares to the industry standard when it comes to price, facilities and services available. It's based on a self-evaluation by the property. Use this rating to help choose your stay! 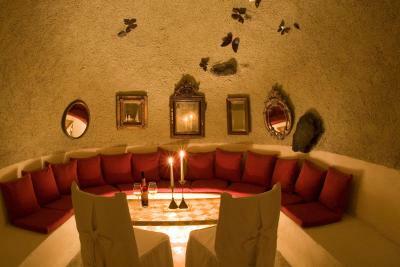 Located at the highest point of the caldera, Heliotopos is a boutique hotel built in the traditional dome style. It offers uniquely decorated rooms with private balconies overlooking the volcano. 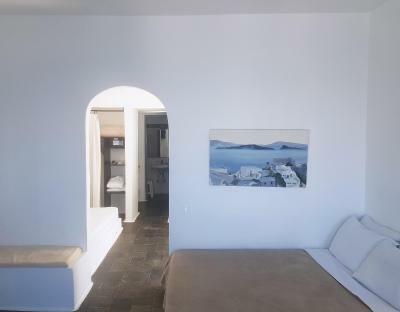 Heliotopos features air-conditioned rooms which are tastefully furnished and decorated with paintings, embroidery and artistic objects. They include a kitchenette, a satellite TV, and a safety box. A lavish buffet breakfast is served every morning in the natural cave and the courtyard next to it, including homemade specialties and freshly baked bread. 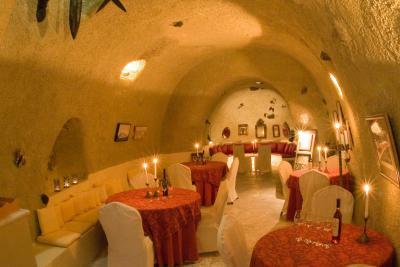 In the evening, local wine, cocktails and beverages, along with snacks, fresh salads and light dishes are served in this natural cave. In the summer, the main terrace of the hotel offers panoramic views of the sunset where drinks and food options can be served. 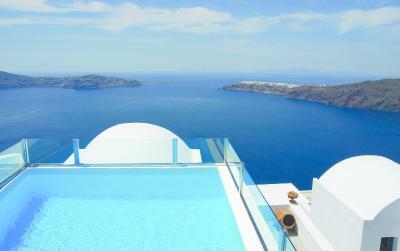 Hotel Heliotopos also features an outdoor swimming pool with a terrace offering magnificent views of the caldera. Free Wi-Fi is available in all areas, as well as free parking at a nearby location. When would you like to stay at Heliotopos? 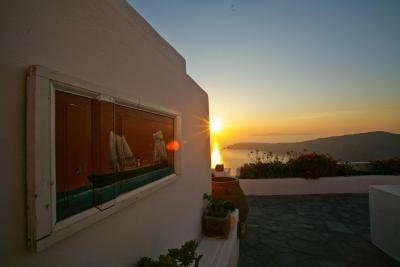 This double studio features a private balcony with sunset views of the caldera. It has air conditioning, TV and mini bar. 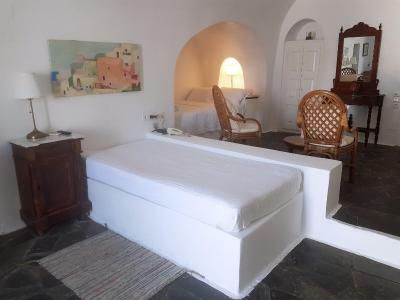 Fully equipped traditional cave-style studio with an interconnecting door, private bathroom, balcony and kitchenette. There are one or two floor suites, which all feature a living room with a sofa with a table, a double or king size bed and a bathroom. They include a flat-screen TV and a kitchenette with mini-bar. In a breathtaking setting, on the rim of the caldera, facing the volcano and the sun setting behind the sea, the Heliotopos Hotel awaits you. 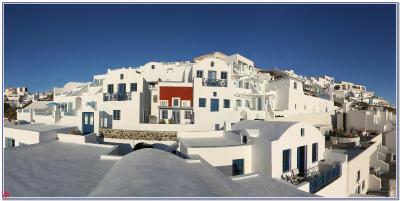 Enjoy Santorini in an environment of exceptional aesthetic appeal and warm and friendly atmosphere. 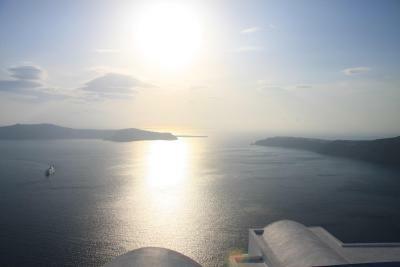 Since 1990 we aim to be the place to relax, your home away from home, your family in Santorini. Together we can create a unique travel experience and make your stay memorable, not just because you visited an amazing island, but also because you seized most of it. House Rules Heliotopos takes special requests – add in the next step! Heliotopos accepts these cards and reserves the right to temporarily hold an amount prior to arrival. Please inform Heliotopos of your expected arrival time in advance. You can use the Special Requests box when booking, or contact the property directly using the contact details in your confirmation. No complaints I can think of. If I had to pick one negative, it was that the room rates - even after discounting - were a bit on the high side. Amazing location at the edge of the caldera - the views literally made us speechless. Great hospitality by the staff and good onsite restaurant / room service. 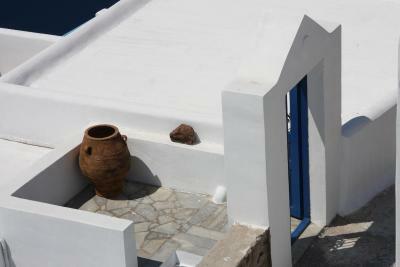 The location is close to Fira, but far enough not to become completely chaotic in the summer. Stunning location with incredible view of the sunset. Extremely accommodating and welcoming staff. ants everywhere, if you leave food on the table for couple of hours, ants would give you a big surprise. Very competent and very, very nice staff. The mattresses and pillows were of poor quality . Very low water pressure made showering almost impossible . Had a kitchen with no pots or pans to enjoy cooking small meal . Loved the staff , the breakfasts were amazing ! The staffs are very polite and helpful. The breakfast in the hotel is excellent and with a range of varities. The amenities provided are good and sufficient. The room and the beds are comfortable. It also come with excellent view just outside the room. The infra could improve a bit - the AC and hot water supply. But still generally we had a pleasant stay there. The hotel has a stunning sea view from TOP of the cliff. 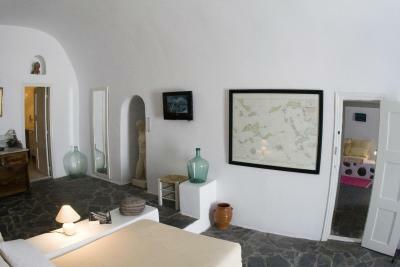 The room is spacious and very unique as a traditional cave house. The staff were all very nice and helpful. The property was just as beautiful as advertised! All of the staff were simply wonderful, especially Eleni who answered my million questions quickly! Thank you for a wonderful trip and experience. Unfortunately as we came the elevator still under maintenance, so we have to use the stair to the third floor. 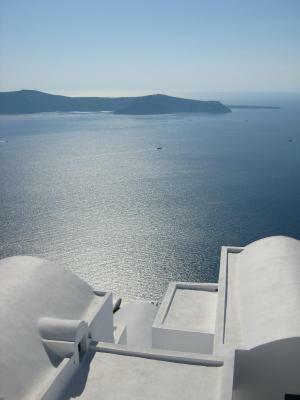 Nice view , breakfast buffet was good , staff was very eager to help , easy transportation to Fira , very convenient .